Open today 11:00 - 17:00. 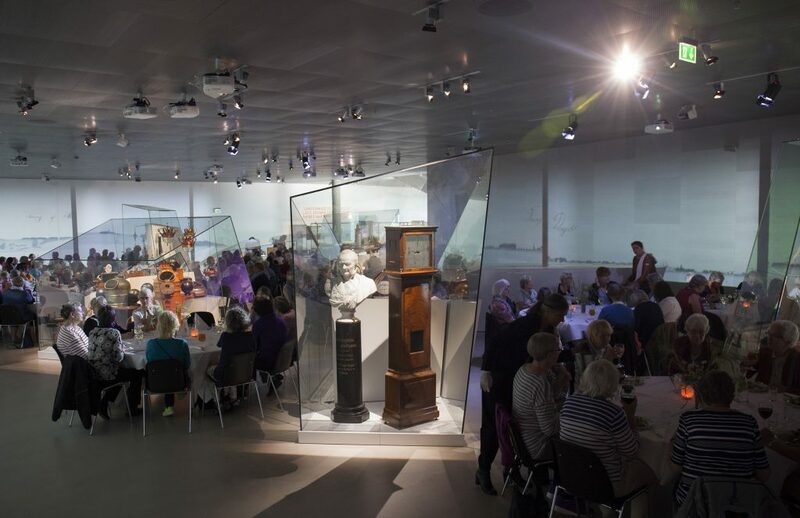 The museum offers unique settings for conferences, events and meetings. 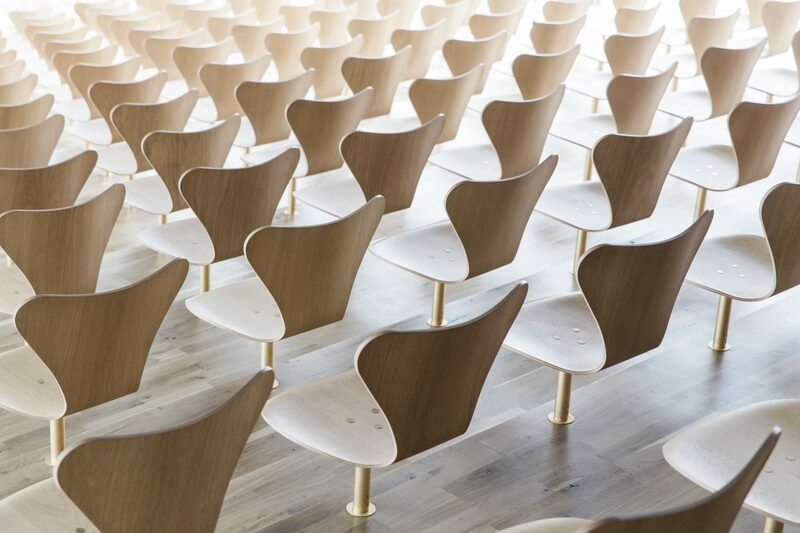 We custormize your event – whether it is a smaller meeting or an event for 800 guests. 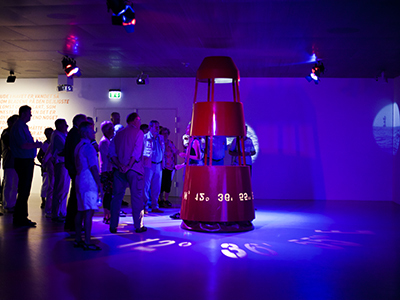 All conferences at M/S Maritime Museum of Denmark include entrance to the museum’s exhibitions and other facilities. Auditorium has space for 159 seated guests. 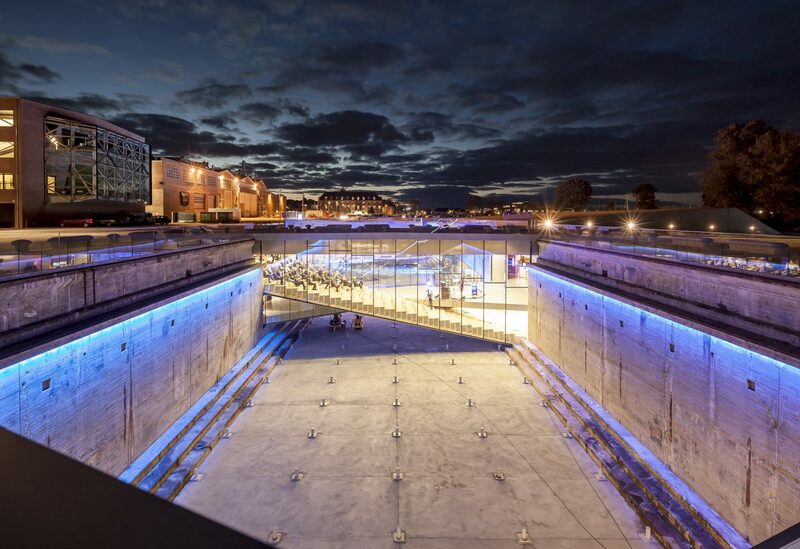 Denmark’s most beautiful auditorium – a floating deck stretched out between the walls of the dry dock. M/S Café has space for 120 seated guests. High ceilings, raw walls with a view and direct access to the dock. Ideal for dinners, Christmas parties or a reception. Small meeting room has space for 50 seated guests. Direct view and access to the dock. Exhibition space ‘Navigation’ has space for 250 seated guests. Have dinner directly in history. Let the beautiful displays, historical objects and giant film projections form the settings of your event. 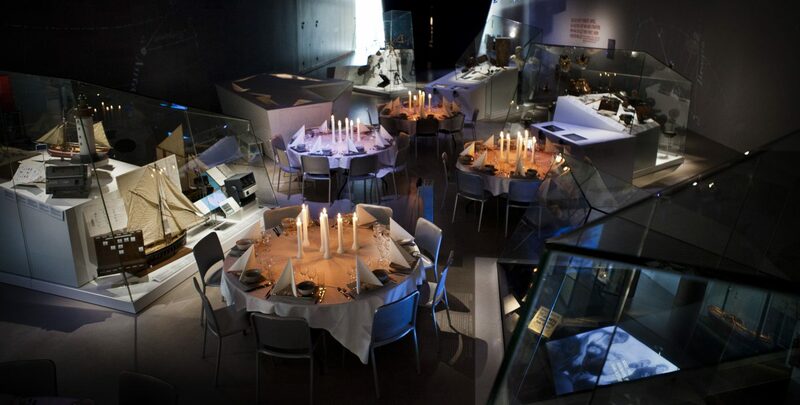 Host your conference, wedding, gala dinner or reception in our prize-winning exhibitions. Beautiful displays, historical objects and giant film projections form the settings of an event beyond the usual. We offer different guided tours for all kinds of events, so you can get a full experience of the museum. 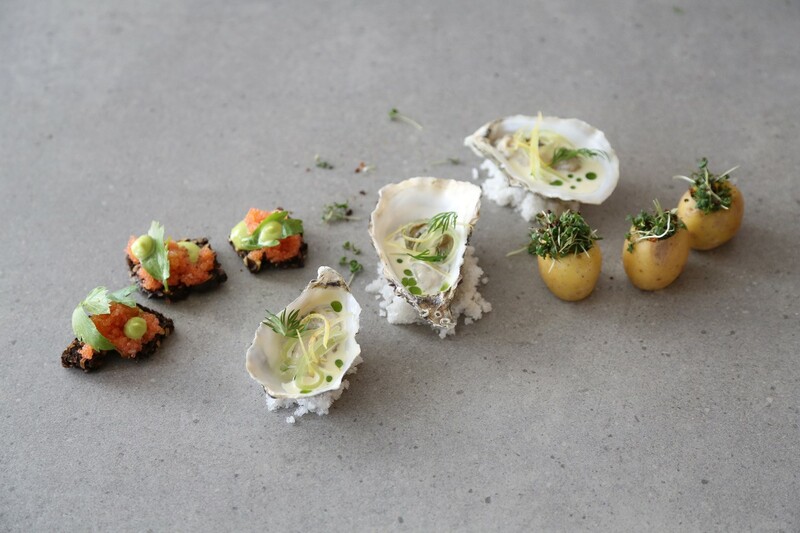 We collaborate with some of Denmark’s best chefs to deliver top quality company menus. Mundwerk is tasty classics with a Nordic twist – at a very reasonable price. 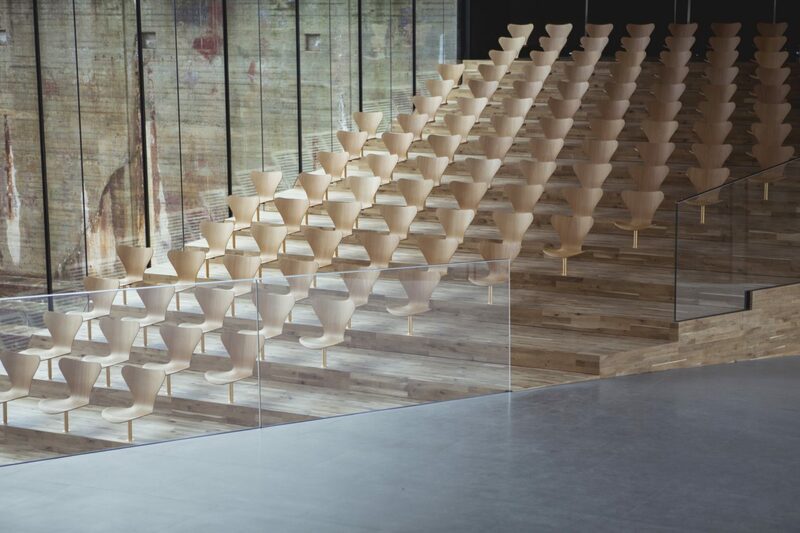 The three partners in Mundwerk; Jacob Nielsen, Clement Nielsen and Nicolai Byrholt have operated a hotel in France and Restaurant Jacobsen in Klampenborg, and are in charge of the operation of Klint – the café at Designmuseum Denmark, just as they have recently opened Restaurant Hestkøbgaard. The three partners come from prominent places like Sommelier, Søllerød Kro, Alberto K and AOC. The shop M/S Cargo sells products that challenge all five senses through shapes, colours, smells, sounds, and taste. The museum café offers the most beautiful underground view in Denmark. Get the full experience – book a guided tour. December 22nd, 23rd, 24th, 25th, 26th, 31st & January 1st.